Smart locks help you straddle the line between security and convenience. 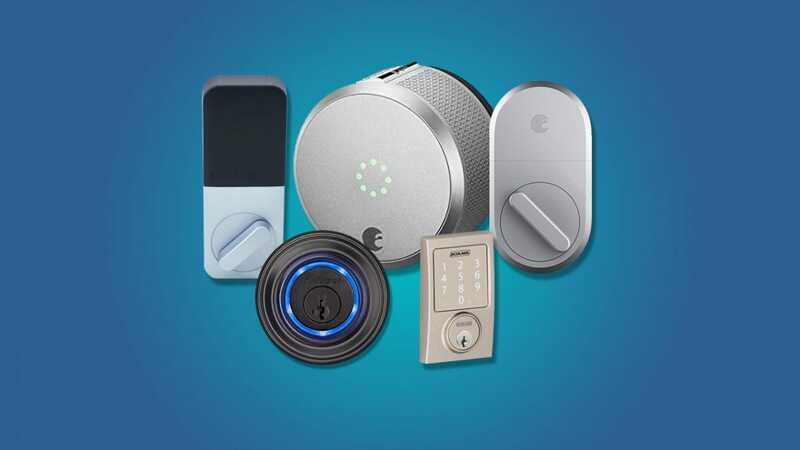 Whether you want the most secure smart lock, or the one that will make your life easier, we have the best one for your needs here. A quick note on security before we get started: smart locks aren’t a magic bullet that makes your home more secure. If you have windows, they can be broken, and some weak doors can be kicked in. Furthermore, having a fancy, visible smart lock on your door might send a signal to opportunistic thieves that there are other expensive gadgets inside worth stealing (and this is a factor we consider in our judgments of smart locks). Smart locks aren’t going to make your house more secure than any old decent and properly installed deadbolt will, but they can make it way more convenient for you. It’s up to you to determine what works best for protecting your home and finding the right balance between security and convenience. With that in mind, here are our favorite choices. Right off the bat, the KwikSet Kevo gets points for looking like a normal lock on the outside. Aside from an LED ring indicator light (which is usually off), this lock looks almost identical to a standard deadbolt. Its benign design conceals a handy, unique feature: you can unlock your door by simply tapping the lock. It automatically recognizes your smartphone when you approach, but won’t unlock the door until you touch the lock. It’s an excellent compromise that makes sure you only unlock the door when you want to. You can also unlock the Kevo with a separate key fob accessory ($25), or a normal old school key if you’d prefer. For guests, you can share free eKeys that give them temporary access. The Kevo app lets you track who has used eKeys, and when they have locked or unlocked your door. So, say you want to give an eKey to the babysitter or cleaners, you’ll be able to see if they enter your home other than when you expected them. If you want to access your lock remotely when you’re away from home, you’ll need the Kevo Plus Hub, which costs an extra $100. You can also buy the lock and hub together for $290. The hub allows you to lock or unlock your door from your phone even if you’re away, as well as confirm whether your door is locked or not. It also allows you to connect to voice assistants like Alexa so, for example, you could lock your front door with a voice command, or as part of a routine. 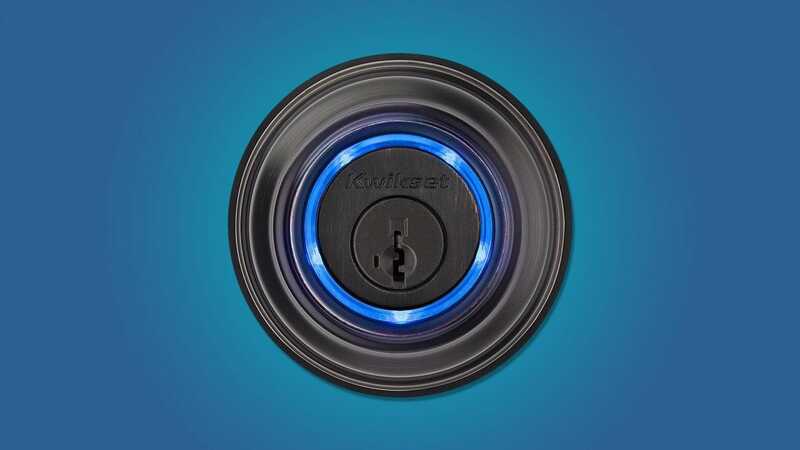 As we mentioned earlier, it’s better if your smart lock doesn’t look any different on the outside. If that’s your priority, it’s hard to beat the August Smart Lock Pro. Unlike most smart locks, this device uses your existing locking cylinder and strike plate, so you don’t need to get new keys made and your door will look exactly the same from the outside (the futuristic silver knob seen above is installed on the inside of the door, replacing the thumb turn you current use to lock the door). You get all the convenience of a smart lock without drawing any extra attention to your home. At $219, the August Smart Lock Pro is one of the more expensive models up front. While it supports Apple’s HomeKit, if you want to use voice commands or control it from outside the home, you’ll need a separate accessory called the Connect Bridge. This hub costs $45 on Amazon, but you can sometimes buy both the lock and hub together for a discount (as of this writing, the combo is $249). If you want the hub, the August Smart Lock Pro can come out cheaper than the KwikSet Kevo with its hub, so you can save a little extra money over our top pick, too. The August Smart Lock Pro also comes with a feature called DoorSense that will tell you if your door is open, as well. 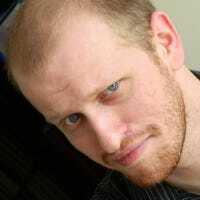 Most smart locks can only tell if the door is locked by whether the bolt is extended, but a door could be wide open and still be “locked” by that definition. With DoorSense, you can place a magnetic sensor on your door so you’ll know if the door is left (or kicked) open. 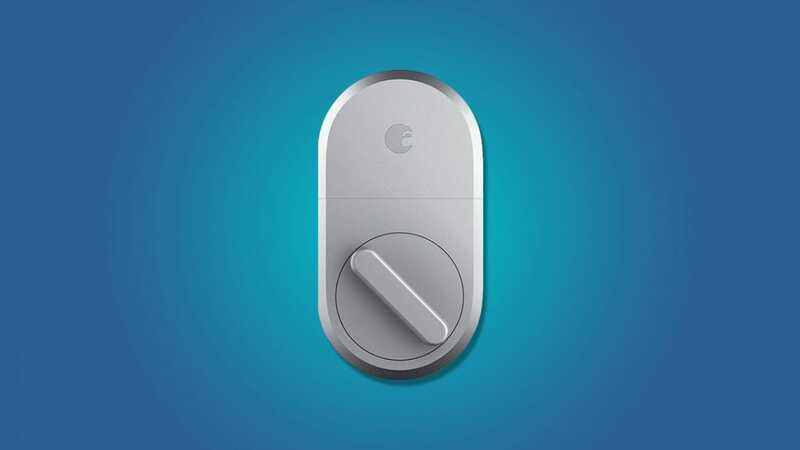 In our opinion, both August Smart Locks are ideal for renters, since they can be used without changing your locks (something that your local laws or landlord may forbid). However, the August takes the proper recommendation for also being considerably cheaper than the Pro version. This model also features a more traditional design on the inside with a proper thumb turn lever instead of a big round dial. The major downside for the cheaper price is that it doesn’t support Apple’s HomeKit. It’s Bluetooth-only out of the box. Like the Pro version, if you want to unlock it remotely or use a voice assistant to control it, you’ll need to buy the Connect Bridge. The company sells both in one package for $200, but since the separate hub on Amazon is only $45, you may as well save a few bucks buying them separately (at least, at the time of this writing). For $70 off the Pro version, you sacrifice remarkably little. It may end up coming down to personal preference—the massive round interior lock on the Pro is certainly eye-catching but it can be off-putting to some—but if you’re renting or just want to save some money, we’d tend to recommend the August Smart Lock 3rd Gen over its more expensive cousin. 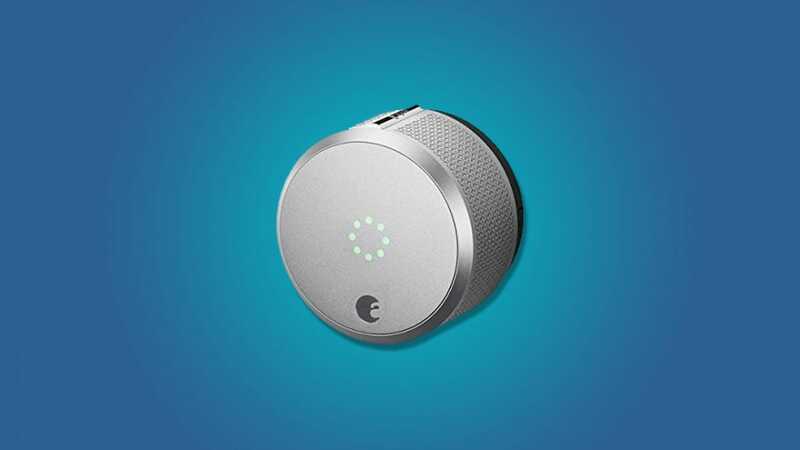 Most of the smart locks on our list are designed to be as invisible as possible, but you may still want to have an alternate way to get into your home that doesn’t require Bluetooth or Wi-Fi to work. 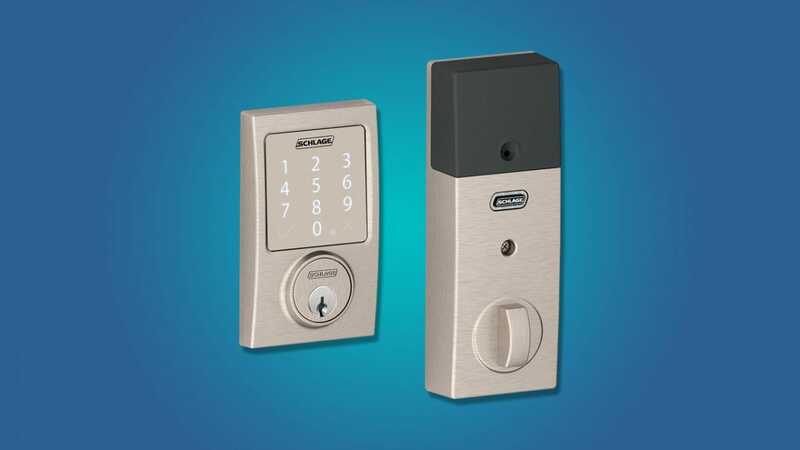 On that front, the Schlage Sense may be up your alley. The front of the lock features a numeric touchpad that can store up to 30 unlock codes (between four and eight digits) that you can enter to open your door. You give everyone that needs access to your home their own code, and you can revoke those codes when you need to, or even restrict them to only work during certain times of the day.Of course, you can also use your smartphone to unlock your door when you arrive home. Smart locks with keypads are also an excellent fit for families where not everyone has a smartphone—if your kids are young enough that they don’t have a smart phone but old enough to run over to the neighbor’s house to play, a smart lock they can use a key code to open is ideal. Further, this Schlage lock has one feature that none of the other smart locks in our roundup have: thanks to the keypad you can eschew using any of the smart features and use it simply as a key-code enabled regular lock. Should you decide smart locks aren’t for you, then you aren’t left empty handed but have a perfect good “dumb” lock with a nice keypad. Like all the other entries on this list, you’ll need a separate adapter to connect to Wi-Fi or use voice commands. You can buy one from Lowe’s or Home Depot for $70. That puts the total price at $270 if you want all the features, which is higher than August’s overall cost, but a smidge cheaper than KwikSet. If you want the keypad, it’s probably worth it, but if all you want is to save money, there are cheaper options. In most cases, upgrading to a smart lock is going to cost a couple hundred dollars. The Lockitron Bolt, on the other hand, only costs $99. That makes it attractive if you need to save every penny. However, you lose out on some features. The lock only connects to your phone over Bluetooth, unless you buy the Lockitron Bridge for $59, which starts to put it closer to the range of other, better locks. You can set up geofences on your phone and either unlock your door automatically or get a prompt asking if you want to unlock it. However, you can’t unlock it remotely (again, without the Bridge), or with voice assistant commands. It’s also not compatible with a number of door styles. If your door uses either a mortise lock or rim lock without an electrified strike, you’ll need an add-on you can only buy by emailing the company. They also recommend professional installation for this add-on, so if your goal is to save money, this probably won’t help you. You can check the company’s site here to see whether your door is compatible. If it is, and if you don’t mind not having Alexa voice commands or control when you’re away from home, this might be for you. Smart locks have started to mature to the point that they tend to work reliably and have plenty of options for fallbacks in case they fail. Most are also discreet enough that no one outside your home will ever know that you put in a smart lock. If you’ve been considering getting a smart lock, it’s a good time to consider one. With the holidays right around the corner, it’s time to either get those Christmas cards out the door, or find a service to get them out the door for you! Whatever your preference, we’ve narrowed down the perfect Christmas card printing services for this holiday season.